Brush Wizard: New Challenger: King Starfire! I'm really pleased with the shipping this time around. A couple of times when I've ordered things direct from Soda Pop, the were a little on the slow side. Not this time! I ordered King Starfire on Monday and he was sitting on my doorstep Thursday night! Nice work Soda Pop, I'm glad to see that things are going smoothly at the warehouse, post CMON. I was kind of surprised by the packaging though. 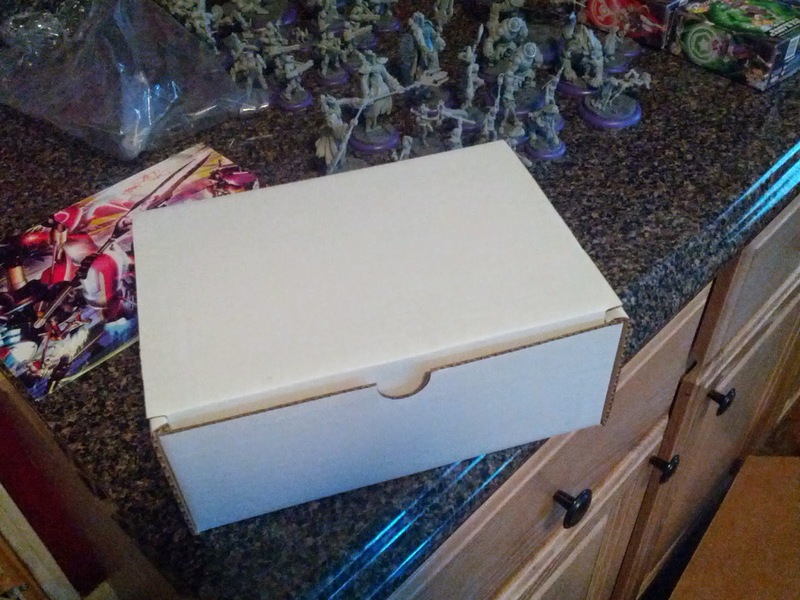 King Starfire comes, not in a custom labeled and branded box, but rather a plain white cardboard box. It kind of makes me a little sad, since I've been keeping every box for every expansion so far. But, oh well. Everything inside was nicely bundled in plastic bags and packing foam, so nothing could be damaged/ lost. The quality is very nice, on everything. I did have to do a bunch of clean up to remove mold components and some lines. I don't have a ton of practice with resin, so I was super careful with the whole process. there are a few gaps where the top of his head meets his bottom jaw, but that's a simple fix. The cards are high quality and feel like they are a different type of paper than the other cards and are super glossy. The only problem I am having with them is that the corners look like that were cut using a different radius? It seems like a much deeper round than the other cards... but I haven't taken out the base set to compare yet. 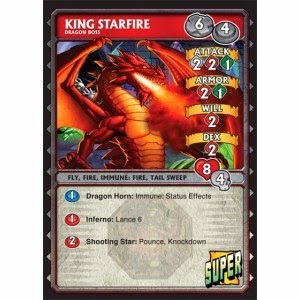 All in all, King Starfire is sweet and I really want to use him in a game soon. The guy is huge! Unfortunately I don't think I'll be able to get a group together any time soon for a full game, which is sad. 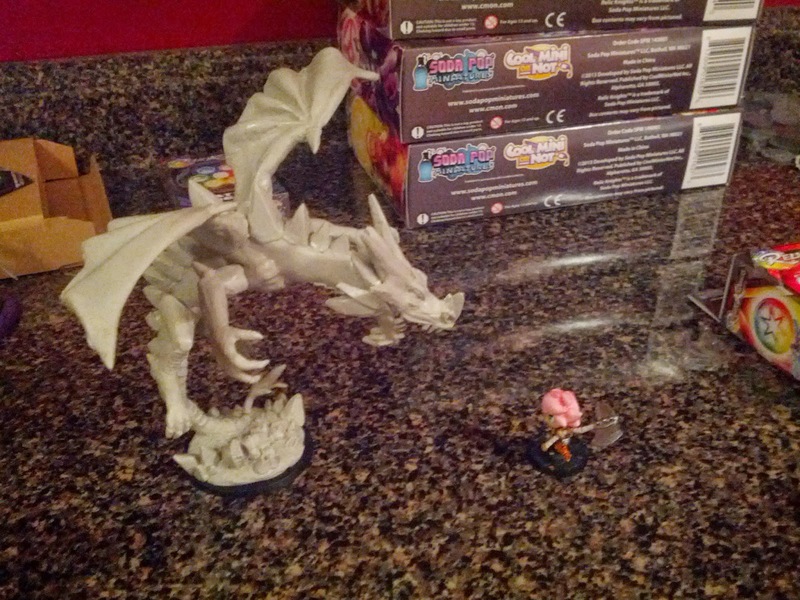 But I am planning to get a game going soonish once I finish painting the rest of the Kobolds. I am working on the Knuckleheads now and then I just need to paint up the gougers, both Rex models and paint the bases. 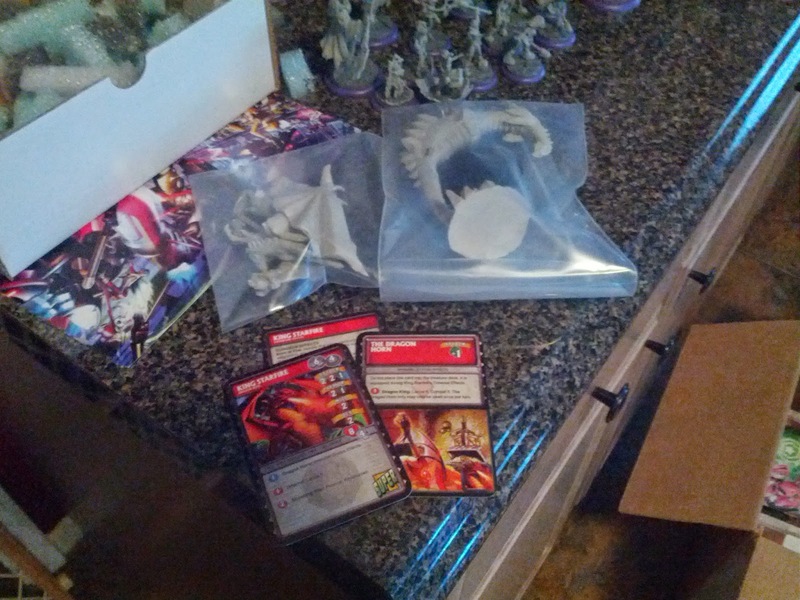 With this guy, I can finally say that I have 100% of all the expansions for Super Dungeon Explore! That is until Forgotten King and the new GenCon release come out. 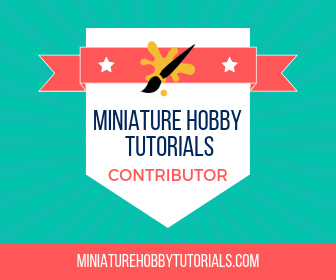 I'm planning on just adding the new Kobold mini to my Pledge, rather than worry about finding him after the Con. It'll make life much more easy. but I will say, I am super happy that Soda Pop is taking the "no exclusives ever" stance.